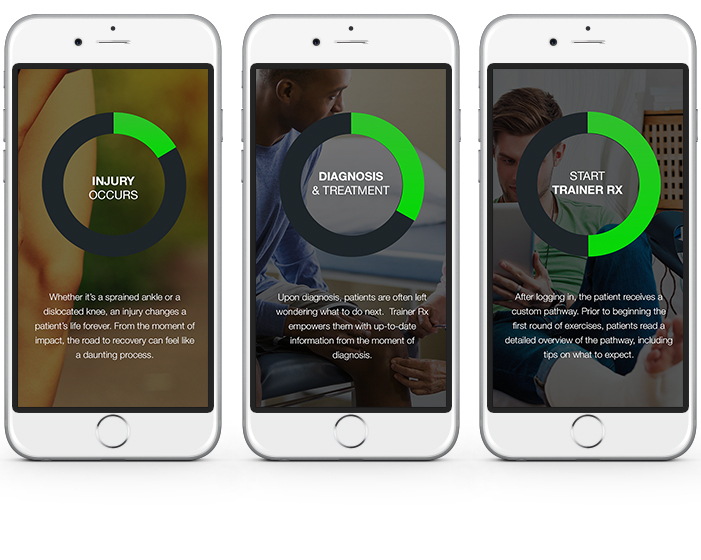 Trainer Rx is a web app that provides solutions for healthcare providers who treat musculoskeletal injury. 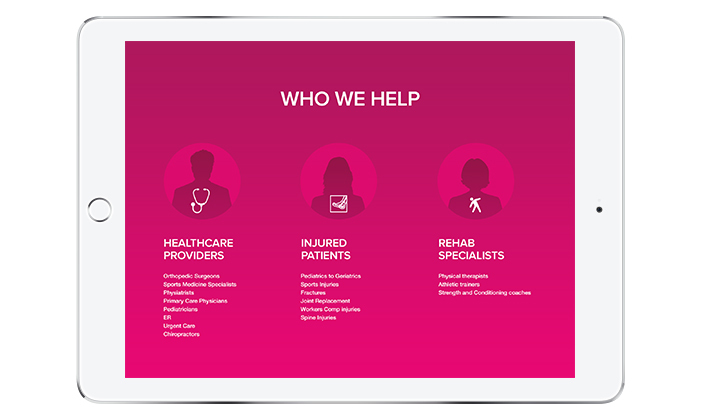 Their rehabilitation and recovery pathways provide patients with step-by-step guidance on the road from injury to recovery. 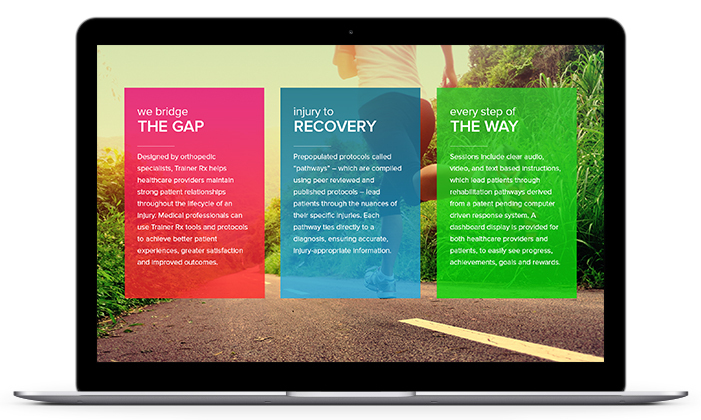 The road to recovery is far from easy so we wanted the design to inspire audiences with aspirational and nature imagery along with a vibrant color palette. We also wanted to tell a compelling story so we designed a single page website that allows visitors to read through all of the content by just scrolling down. The home screen begins with an intro to Trainer Rx, their mission and values. 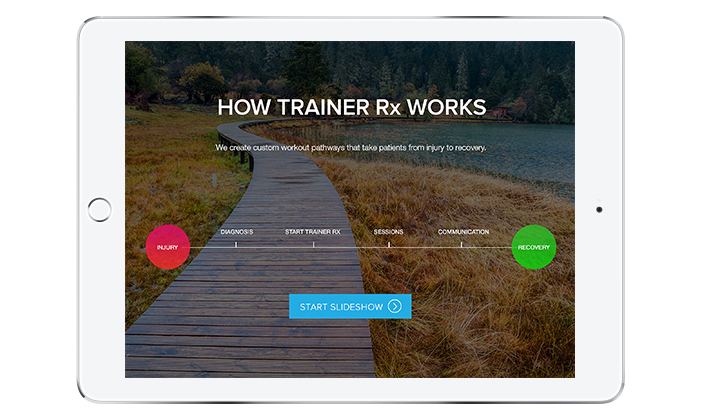 Visitors can then scroll down to see more detailed information about who Trainer Rx helps, how the app works and its specific features. The website ends with the story of the Trainer Rx team and their motivations for starting the company. After scrolling through the site, visitors can get in touch or start a free trial. Some unique design features were added to further enhance the user experience. A pink line that starts at the top of the website is seen running down the entire site as users scroll down. This line symbolizes the app’s rehabilitation and recovery pathways that lead patients through their journey from injury to recovery. This line, combined with an interactive slideshow, a video background, and subtle animation features provide an immersive and memorable experience for the site’s visitors. The website launched in early May and was very well received. So far, it has been featured on several international web award sites such as CSS Design Awards, CSS Winner, and Awwwards. 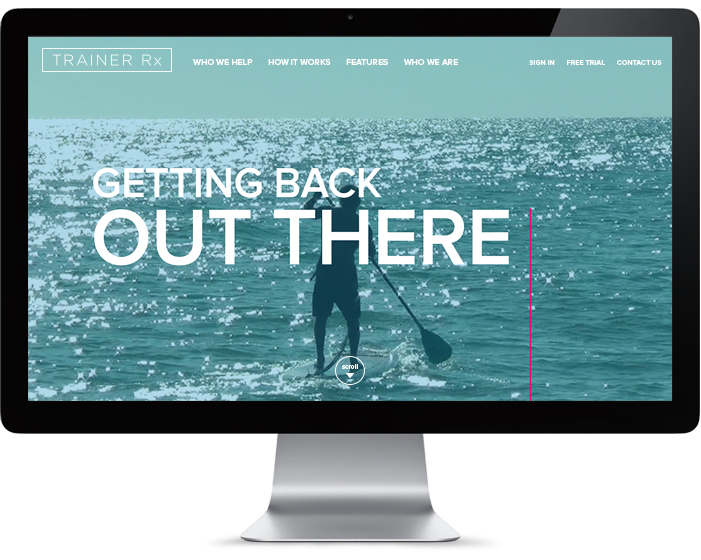 Visit the Trainer Rx website and tell us what you think!